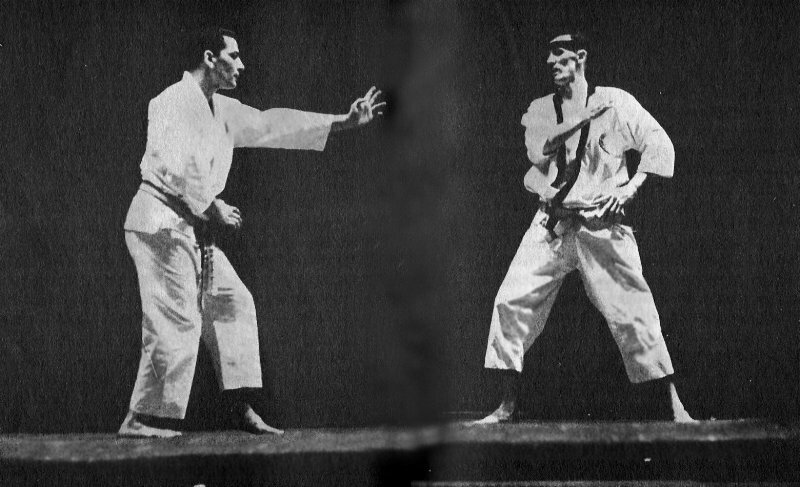 One of the first books written on karate authored by an American was The Karate Dojo: Traditions and Tales of a Martial Art by Peter Urban. Urban studied Goju-ryu in Japan under Gogen Yamaguchi before establishing a school in Chinatown, New York. First published in 1967, the reader should appreciate that this was an era of massive cultural upheaval in the US, some of it for the worse: crime and drug abuse were on the increase, in addition to an unprecedented "lack of respect for authority" as Urban saw it. One of his goals was to have authoritarians learn karate so they could command respect from their otherwise disrespectful charges. The blackboard jungle that is all too common in American cities would cease to exist if teenagers knew that their teachers' knowledge encompassed more than history or mathematics, that they also had knowledge of the art of self-defense. Urban also sought to have karate become an integral part of law enforcement training and to be taught in public schools. He felt that crime, neurosis and unhappiness would be reduced if society embraced the spiritual tenets of karate that fostered discipline, self-improvement and character. Aside from the guidance of a competent sensei, Urban's view was that trainees should be held responsible for their own progress. He is very stern about putting karate into a sincere and proper perspective. Throughout the book we find passages relating to fearlessness, forgoing the effects of pain and how "true Karatemen" should train while on the mat and behave when out and about. 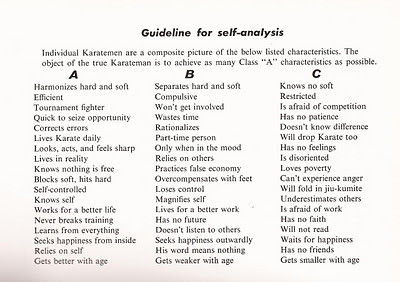 The centerpiece of the book features a chart on self-examination utilizing attributes that fall into three basic classes: A, B and C. A is the stuff of black belts and masters. The B variety are hobbyists on a good day. C guys are losers or manic depressives or both. 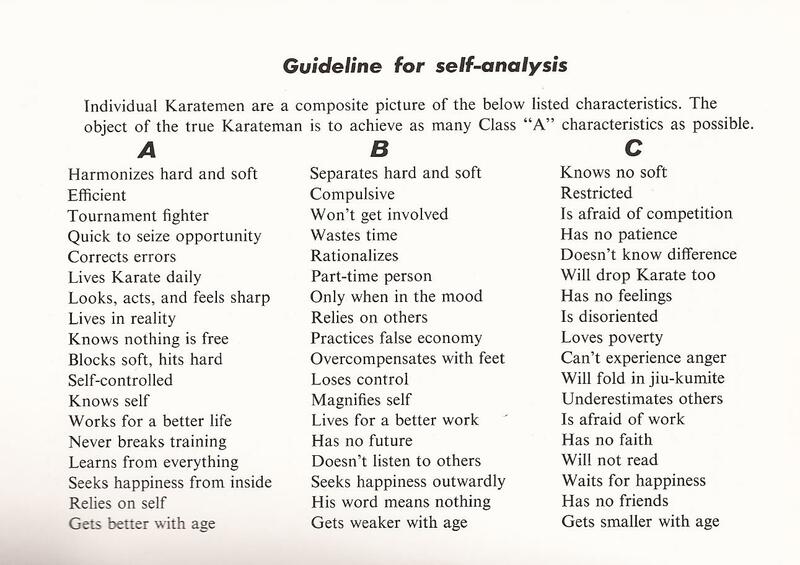 In the same section a second chart dispenses with philosophy and focuses on the sparring and training habits of Class A "Lightweight", "Middleweight" and "Heavyweight" trainees. The Karate Dojo, while not the best of its genre, is still a decent book and at 145 pages is a quick read. Peter Urban was a karate pioneer in the US who truly sought to bring his art to become a mainstay of American culture and society.